No those aren't new sizes offered at your local Starbucks. 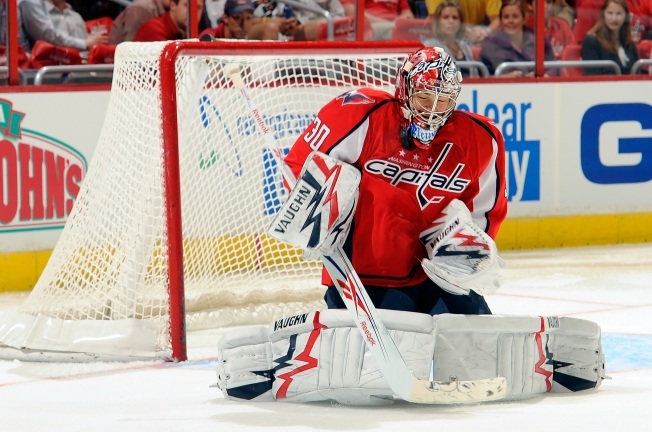 That was the decision Capitals coach Bruce Boudreau was faced with in picking his starting goaltender for the team's first-round series against the Rangers. On Tuesday, Boudreau made his decision. He's going with Michal Neuvirth. How long Neuvy keeps that job is up to him. 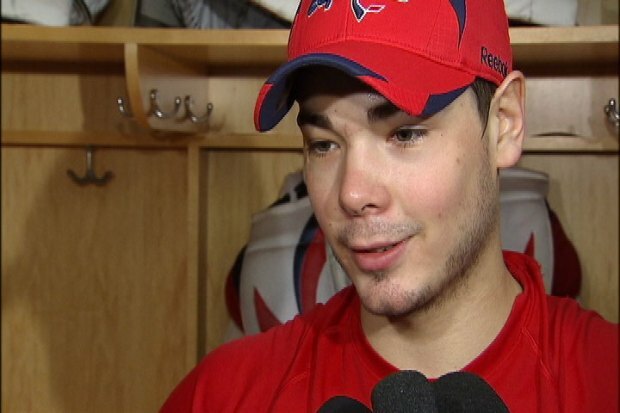 Michal Neuvirth gets the nod as the Caps' starting goalie. Nervous, Neuvy? Boudreau, known for having a quick trigger finger when it comes to switching netminders, has said he feels he has three strong goaltenders to choose from this postseason, especially after Braden Holtby's eye-opening performance late in the year when Neuvirth and Semyon Varlamov both went out with injuries. 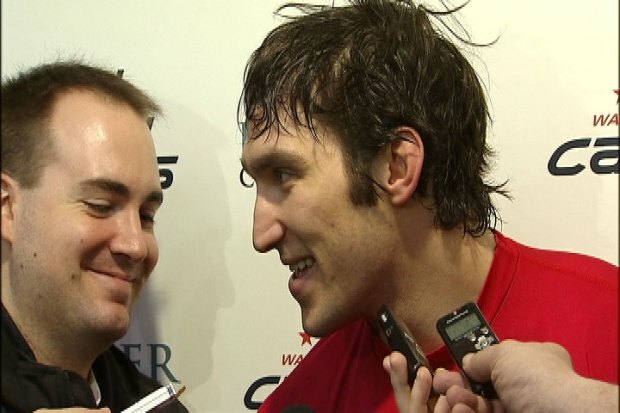 Alex Ovechkin talks about the Caps' playoff chances at Kettler Ice Complex. Looking back, Boudreau may have tipped his hand on his goaltending situation after the OT win against Columbus back on March 31. That's when the coach gave more praise to his young netminder than usual. "When the game's on the line, he's there," Boudreau said. "It doesn't matter if he let five by him or one by him. He's really good when the game's on the line, and he had to make some really good saves to preserve it. To me, that's the sign of a real winner." Boudreau continued hyping Neuvy on Tuesday, recalling the postseason success his goalie has had in the AHL. "He hasn't been through this, but he's been in championship series and everything else. He's ready," Boudreau said Tuesday. "I don't have to say anything to him. As a matter of fact I've tried not to say anything to him for fear that it would get him wound up or nervous. He does what he does. He's played really big in big games for us. We've got a lot of belief in him." Neuvy said he's excited about the opportunity, but that there could be a few butterflies before game time. "I'm pretty good about handling the pressure, but I might get nervous, maybe, before the game," he said. "Who knows?" Exactly. No one knows for sure how he will react when the team's Cup chances are on the line. Caps fans hope Boudreau made the right choice. But it's nice to know he has several solid options to fall back on.